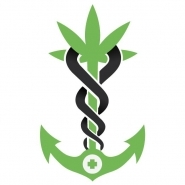 Maritime Café opened in 2011 serving OMMP patients and caregivers. We now provide marijuana and marijuana products to recreational customers 21 and older! Our friendly knowledgeable staff and large assortment of marijuana products at affordable prices makes us a premier dispensary in the Portland metro area. While you are here relax in our Café and enjoy a hot or cold drink while waiting for your order, or just wanting a moment to relax.